Real estate is one business, which is mushrooming for every other day. With the advent of internet, the boom is skyrocketing like skyscrappers and so is the competition. 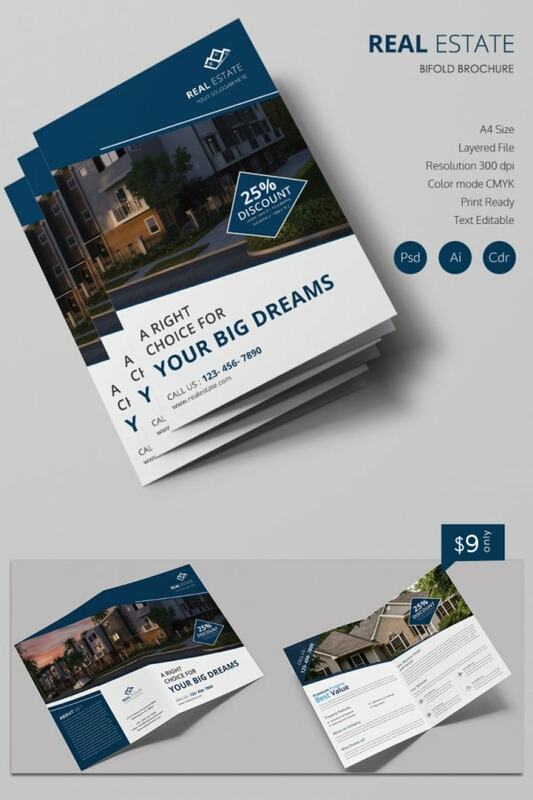 In this regard, a well-designed Bi Fold Brochure will set you apart from the herd. We are offering a helping hand with viewtiful (also beautiful:)) and resplendent themes. Our brochures are so good on eye that can easily turn a glance into a stare. If you think it is all about pulchritude, you are probably mistaken. 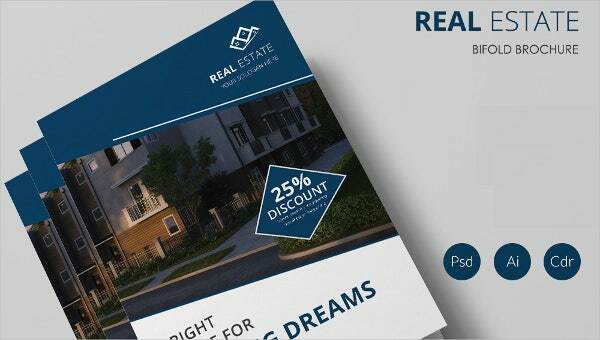 The promotional bifold leaflets are equally elobarative about the content and gives you valuable insights.